What do blind rivets do? 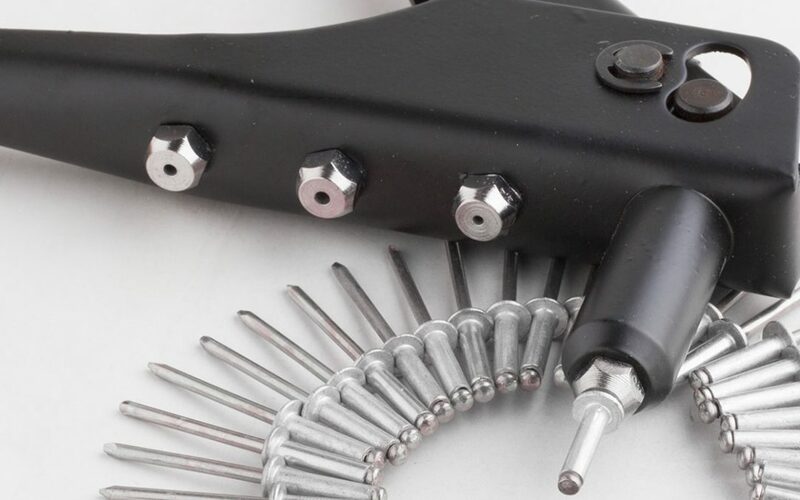 Blind rivets are used to join different materials of varying thickness from one side of a work piece without needing access to the opposite side. What does a blind rivet look like? 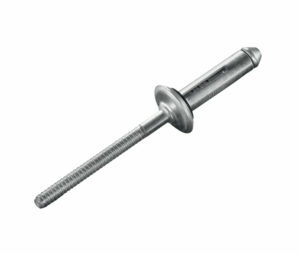 A blind rivet consists of two parts that are pre-assembled, the rivet body and the rivet mandrel. 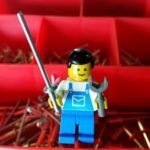 How do I install a blind rivet? In the first step, the worker drills a hole through the items that are being joined. The hole is marginally larger than the diameter of the blind rivet. Using the riveting tool, the worker pulls the mandrel, drawing the mandrel head into the blind end of the rivet body. This action deforms the head on the rivet body and securely joins the two items together. The rivet mandrel will break at a predetermined breaking point and will detach. At this point the rivet is securely “set” and the remaining mandrel falls off. Fun fact: Blind rivets also make great swords for Lego people! In our next post we will go over the different types of rivets such as standard open-end rivets, closed end rivets, multi-grip rivets, high-strength rivets and their various applications. To get an idea of what they look like check out our blind rivet catalog.